Last week I began the process of replacing our chrome door handles with brass ones. I'm so happy with the three new ones I've installed on the top floor, and keep having to go and look at them again. I know, I'm sad like that. We'd previously had the cheap and not so cheerful ones that the builders put in to 'match' what we had elsewhere in the house. Let's just say they weren't my favourite things. However, I've realised what a slippery slope this is. I now need to replace the hinges, the latch face plates, door strikes, and I've also been eyeing off all the light switches and power sockets in the whole house with a great deal of contempt. I think I'll be slowly working my way through the house from the top to the bottom, to spread the financial pain, and the pain of the somewhat tedious work too. The door handles on our bedrooms and main bathroom doors are a contentious issue, because the doors are really old, but not good old. They're rubbish old, and I'm a bit torn because three of four of them need to be repainted, and I'm loathe to put the work in, when actually I'd like to replace the doors themselves along with the handles. See? Slippery slope. I totally copied my friends door handles by the way. She knows, and we're good. We have very similar interiors taste, so these things happen. There are some great contemporary handles to choose from, but still not a huge variety, especially at the more affordable end of the spectrum. Chrome is still vastly more widely available than any other finish, and I imagine that lots of retailers believe (and wish!) that the brass trend will be over soon, so they don't need to worry, but it's not going anywhere! 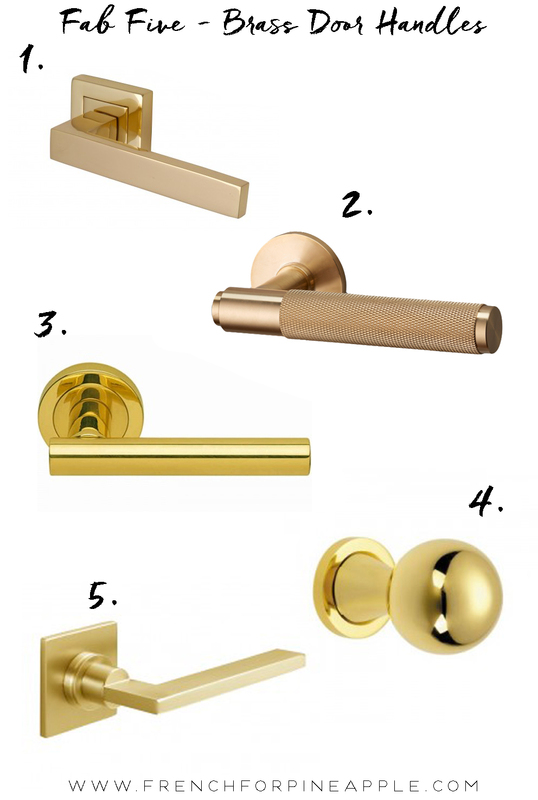 I would love to see more affordable brass finish options available, and not just door handles either - things are still pretty lacking when it comes to modern brass taps and showers (and let's not forget sink traps, plugs and so on). Oh, and you might notice that I've not chosen any with an 'antique' brass finish, because I hate I'm really not keen on that finish. It's polished or satin brass for me thanks. I generally prefer a satin brass finish, but as the UK as a whole hasn't really caught up yet, polished will do. I have number three, and though I might not love them quite as much as some of my other picks here, they were the most affordable of the bunch. Are you Camp Brass, or still happy in Camp Chrome? Am I just a complete fool for trends, or can you see the allure of lovely warm brass too? Come on, chime in! 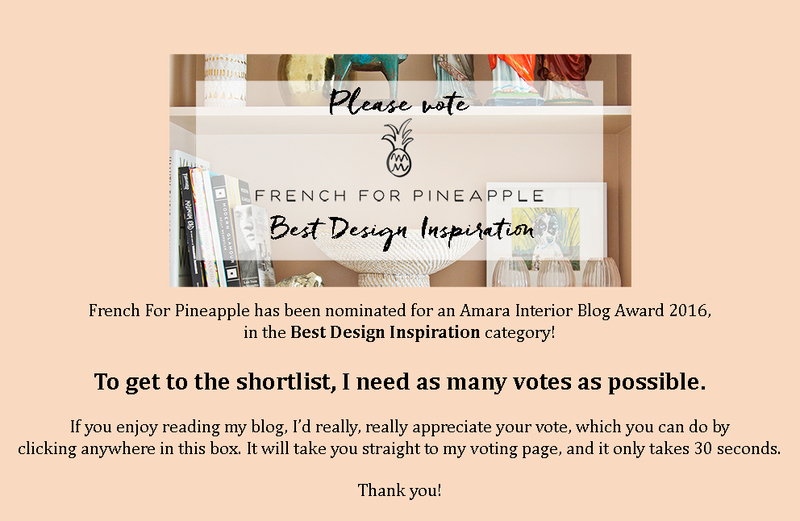 P.S Don't forget to come back for Wednesday's post, because I'm FINALLY sharing my plans, moodboard and colour choice for my NEW STUDIO! Whoop!